By looking at Worpress statistics for my blog, I realized that many people were coming here by searching keywords like “animation”, “transition”, etc. A couple of month ago, I wrote an article about a control that I created: the ContentSlider control. The article described a control that could be used to create an animation when switching from one page to another, but it was very basic. 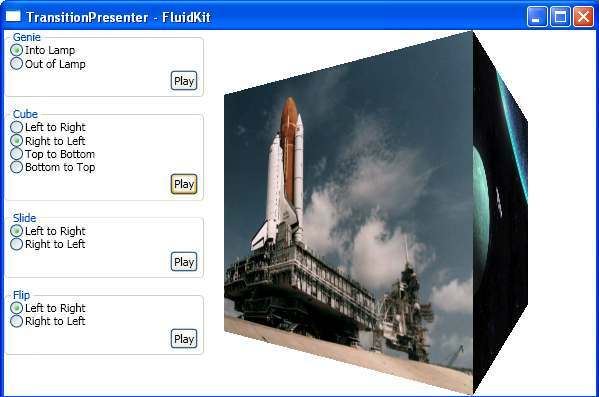 Pavan really did a great job with the FluidKit library. 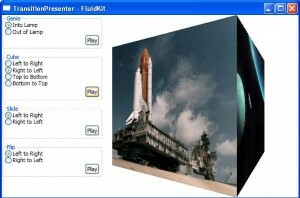 Go ahead a grab the source to play with it and learn very cool stuff about WPF ! 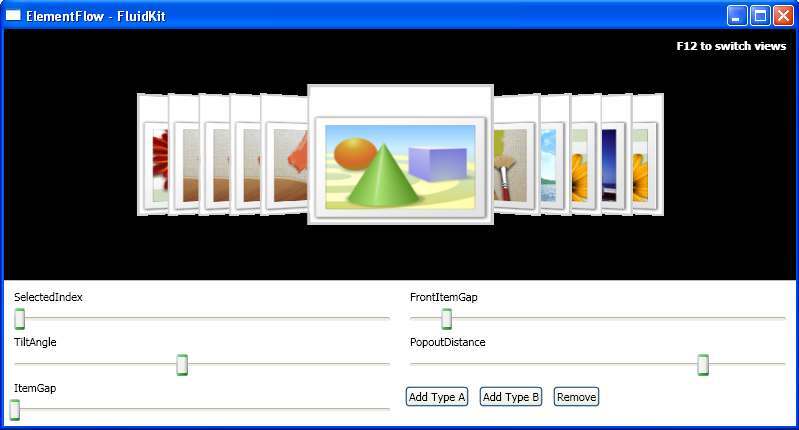 In my very first article, I wrote an article about an implementation of a solution allowing to use transition (using a sliding effect) between views in a WPF application. As a reminder, here when I talk about “views” I mean a screen of the application. One of this screen could be used as a login screen, the other one to setup parameters, etc. All the specific stuff related to the transition (the animation, the use of a VisualBrush…) is handled INSIDE the control so that it is completely transparent to use. The first one (PrepareSlide) must be called right before changing the content of the view. 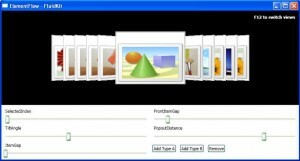 It will create a “snapshot” of the view so that it will become possible to animate it. The next two one should be called to slide the content to the left (or to the right). I hope you’ll enjoy it. Here is a solution containing the control with example.